and work necessary to make this an enjoyable week-end for all. The members of the Frontier Amateur Radio Society have been in attendance at each of our previous Field Days. FARS is an ARRL Special Service Club and they are pleased to formally name "Hams On The Hill" as their official Field Day venue. This group of ladies and young girls had so much fun playing radio at the third "Hams On The Hill" that they formed their own club, the Sisterhood Of Amateur Radio. to supervise the care and feeding of those in attendance. 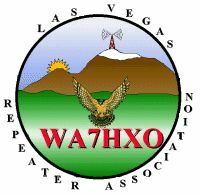 The Las Vegas Repeater Association will once again be present at this years Field Day. LVRA was a part of the first "Hams On The Hill" event ten years ago. 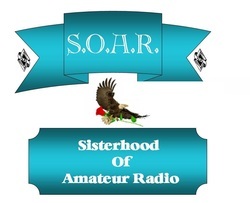 While noted for the numerous repeater systems which they have developed throughout the southwestern United States, LVRA, specializes in a broad range of amateur activities which are particularly well suited for the VHF, UHF, and microwave portions of the radio spectrum. Including amateur television, satellite and space comms, and D-Star. LVRA will be presenting demonstrations at this years Field Day of some of the interesting modes they communicate with. The Nellis Radio Amateur Club ﻿joined us for the first time in 2014 and have now made "Hams On The Hill" their official Field Day site. NRAC has become an integral part of our Field Day family. We are happy to welcome them back for their fourth consecutive year. The Las Vegas Radio Amateur Club returns for the third year. ARES/RACES of Clark County joins us for their second time this year. Henderson Amateur Radio Club will be on hand once again.